If there’s anyone in this world who’s got stories to tell, it’s AV integrators. And many of them do tell their stories—but not when it counts most: when they’re sitting in front of a potential customer hoping to attract their business. Professional storyteller Kindra Hall told attendees at the 20th NSCA Business & Leadership Conference in Dallas last week that keeping your stories to yourself doesn’t do anyone any good—and sharing them could be a boon to everyone involved. Strategic storytelling, says Hall, is about applying theory to real-life situations. That’s a lesson she learned in a high school physics class when she had to write a five-page paper on gravity and she reached that threshold by including a story about her love of roller-coasters. It’s a decision she thought her teacher would see through as an attempt to thwart the assignment but he loved it. That’s a lesson AV integrators can learn from with their customers, says Hall. 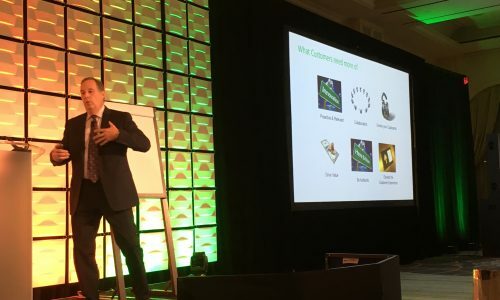 Why Does Strategic Storytelling Work for AV Integrators? Stories change people’s brain chemistry, says Hall. They inject us with doses of cortisol, which boost focus and attention, and oxytocin, which add empathy and emotion to the mix. They also serve as a way of changing conversations, taking them from simple discussions of nuts and bolts to the value you can bring to your customers. Stories also can build bridges in relationships, says Hall. Often when someone tells you a story, you can picture the details of that experience, whether you were there or not. When they’re told well, stories are memorable too, she says. Hall displayed this phenomenon by having BLC attendees pair up, first to tell each other about the importance of perseverance then afterward to share stories about their first or most spectacular wipeouts on their bicycles as kids. And, because the storytelling process is co-created, “it can help you become more engaged,” she says. The biggest problem with storytelling, says Hall, is we tend to forget about it when it could help us the most. 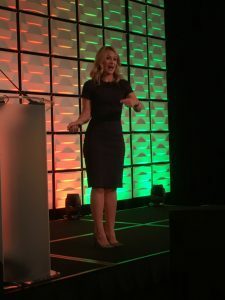 When you employ the storytelling technique, remember this: a story is not a tagline, slogan or mission statement; it’s not a history lesson and it’s certainly not a list of features, deliverables and bullet points. Stories are also not a bunch of data or numbers and they aren’t a recitation of high-level principles and theories. Stories happen in a particular moment, they include a beginning, middle and end, and feature emotion, not just information. Stories feature characters to care about and something at stake. The biggest mistake AV integrators make with storytelling is not getting directly to the point of the story and hinting around it to the point the person listening is forced to draw his or her own conclusions. 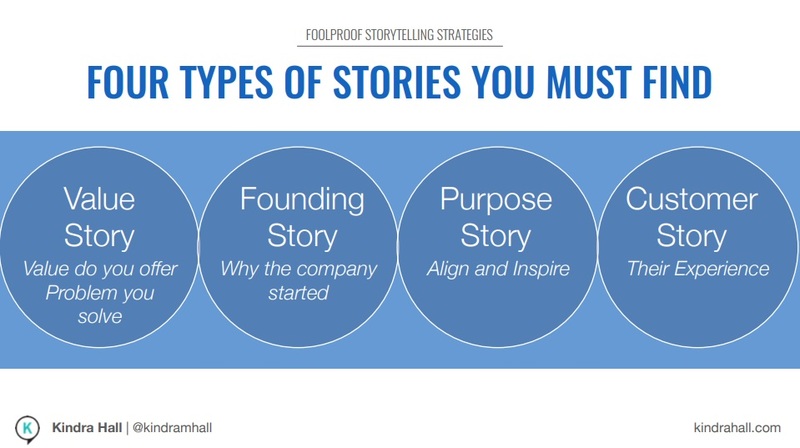 There are four major types of stories we tell: value stories, which include some sort of offering or solution to a problem; founding stories, which can talk about why your company started, for example; purpose stories, which align or inspire others; and customer stories, which recap their experiences with you as a business. When trying to find a story, remember to focus on nouns. Sometimes, just writing down the name of a client can trigger all kinds of stories, says Hall. 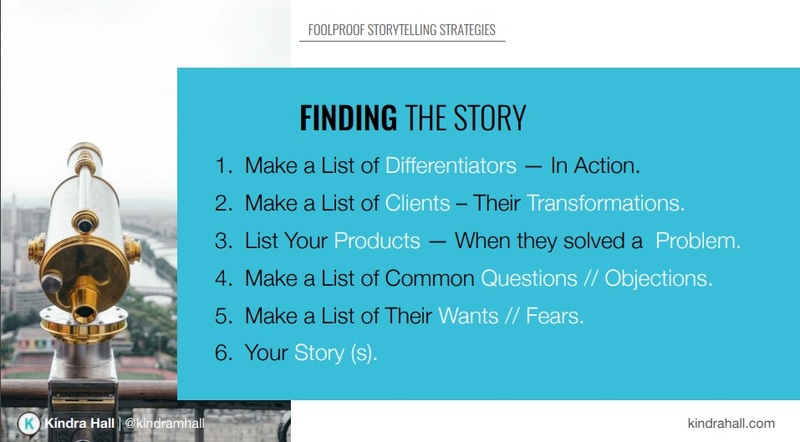 From there, list your differentiators in action, list your clients and the transformations you’ve provided them, list how your products have solved a problem, list questions and objections you’ve faced and use your stories to connect on a human level. When crafting your story, don’t get too scientific. A story should build from the normal to an explosion to the new normal, says Hall. It’s important to consider your audience when crafting your story and to be vivid to better set the scene. Always include emotions in your stories and also sprinkle in specific strategic details to better connect. You can tell stories in meetings and presentations; to potential clients and your sales team; on your website, social media platforms and blogs; to someone you’re hoping to hire; or just to each other, whether as a practice for those other arenas or just to better get to know someone new. And, while all of this may see like it’s a bit too self-centered, Hall says there’s a reason for that.